After the initial reveal of this figure in early January, we haven’t been offered much in the way of further updates for S.H. Figuarts Oma Zi-O. However, thanks to a new post on the official S.H. 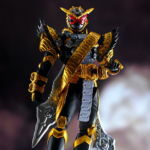 Figuarts Blog we have two new looks at the upcoming figure. 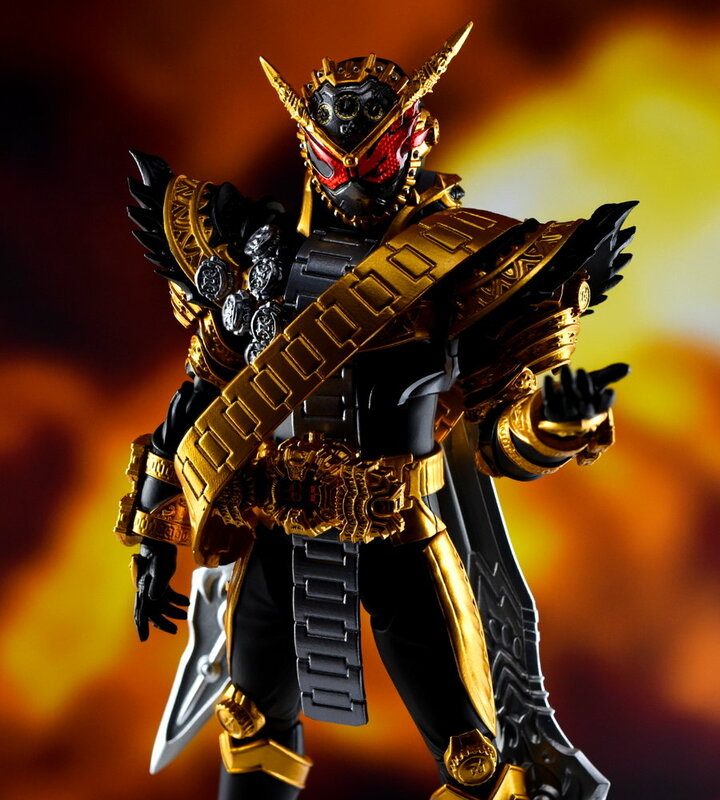 While we still don’t have any sort of release or pricing details yet, we can certainly see that Oma Zi-O will be a lavish and ornate repaint of the first Zi-O Figuart. The Figuarts Blog does mention to check back in regards to future releases, and we doubt that after seeing the figure twice now that it won’t see the light of day at some point. So as release details become available we’ll be sure to update you. Awesome! 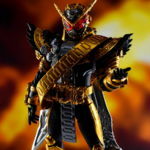 Oma Zi-O is really remnd me to Gold Drive and Sorcerer. Yes Ohma Zi-O I need it. So happy he getting made. I'd say that it's mainly the band around him juxtaposed with the Ziku Driver that is probably making it seem so big. but otherwise, he does look pretty cool. do I wanna pick it up? yeah. can I afford it? most likely not, unless it's a retail release, which I'm calling right now that it won't be. Interesting, I didn’t think they would bother doing this one. The design just doesn’t seem to lend itself well to a highly articulated figure IMO. I already see some very rough spots in this teaser image, the sash looks awful. But please keep going Tamashii, because I do want to see a Figuart of the purple ninja boy eventually. What the-? 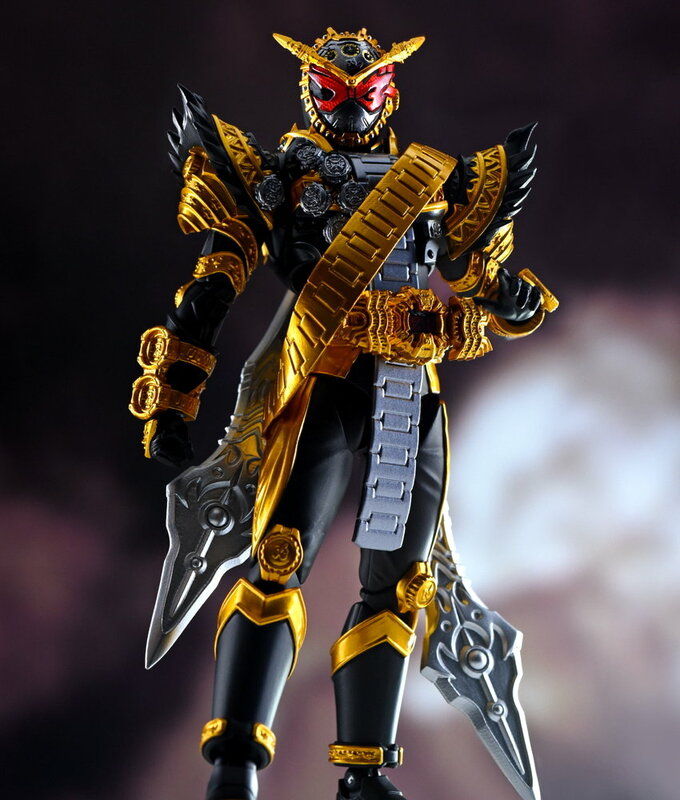 This was on my 'least likely to get made into Figuarts' list, but as usual Bandai loves to tickle my wallet. A Figuarts of Kamen Rider Shinobi? YES PLEASE. And one of Kamen Rider Woz while we're at it. By the way, it seems like this figure is actually the one teased in the last Tamashii blog entry with the picture of Zi-O and Geiz facing Decade. They outright say in this blog that the upcoming figure they referred to last time (which we thought was Decade) is Oma Zi-O. So we probably won't get a new version of Decade with the Neo DecaDriver, although they might do that regardless, but the teaser image itself was a ruse. With Oma Zi-O announced, Woz is probably happening next. I hope they do Shinobi and Quiz after. Shinobi, Quiz, and Kikai seems like they'll be P-Bandai releases if they get made at all. If nothing else, they'll more than likely be made in SODO since they seem pretty good at releasing everyone. I had a half-second of, "Oh, I hope it comes with some of the Ride Watches we would otherwise get," and then remembered Bandai doesn't put any images on them, almost certainly so they can sell a Shinkocchou Seihou version later. I'm delighted on behalf of all the people who want this figure, of course.